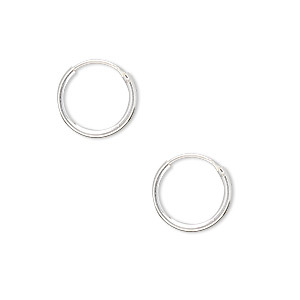 Earring, sterling silver, 16mm round hoop with endless-loop closure. Sold per pkg of 4 pairs. Item Number: H20-2739JW Have a question about this item? Ready to wear, these are wonderful for gifts or for add-on sales. 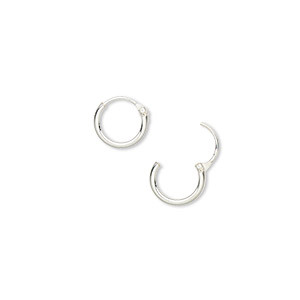 Use for multi-pierced ears in graduated sizes. 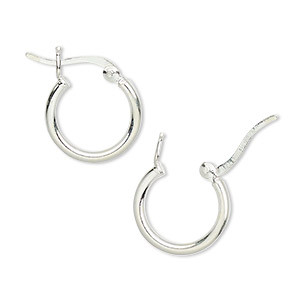 Earring, sterling silver, 10mm round hoop with endless-loop closure. Sold per pkg of 4 pairs. 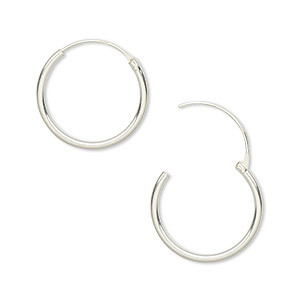 Earring, sterling silver, 12mm round hoop with endless-loop closure. Sold per pkg of 4 pairs. 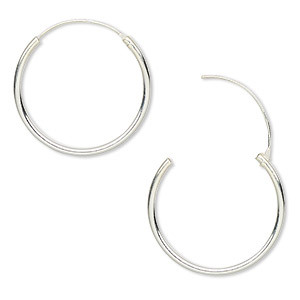 Earring, sterling silver, 20mm round hoop with endless-loop closure. Sold per pkg of 4 pairs. 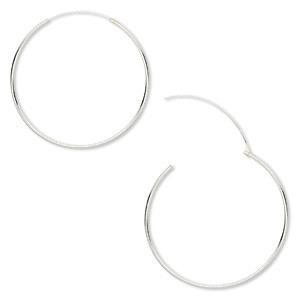 Earring, sterling silver, 18mm round hoop with endless-loop closure. Sold per pkg of 4 pairs. 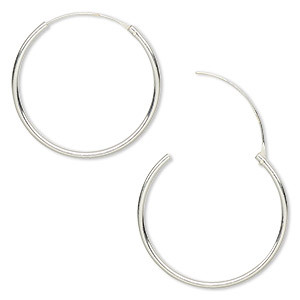 Earring, sterling silver, 25mm round hoop with endless-loop closure. Sold per pkg of 2 pairs. 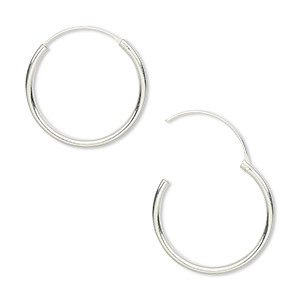 Earring, sterling silver, 30mm round hoop with endless-loop closure. Sold per pkg of 2 pairs. Earring, sterling silver, 40mm round hoop with endless-loop closure. Sold per pair. 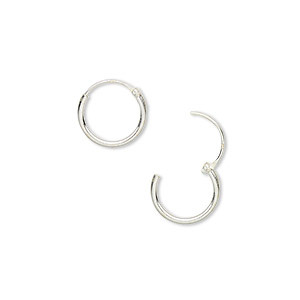 Earring, sterling silver, 14mm round hoop with latch-back closure. Sold per pkg of 4 pairs. 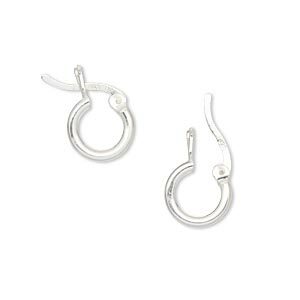 Earring, sterling silver, 10mm round hoop with latch-back closure. Sold per pkg of 4 pairs.